Load balancing is where two or more ADSL, ADSL2+ or FTTC fibre broadband connections are connected to a dedicated load-balancing router. Load balancing provides increased resilience by maintaining an Internet connection even if an individual broadband connection goes down. A load-balancing router attempts to route Internet traffic optimally across two or more broadband connections to deliver a better experience to broadband users simultaneously accessing Internet applications. Load-balancing routers do NOT bond multiple Internet connections together, like ADSL bonding (which can better transform slow broadband connections). 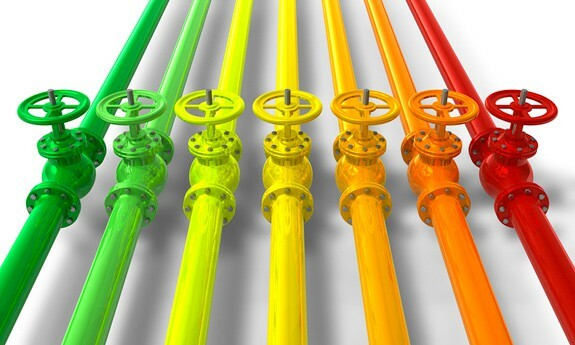 As discussed in our Multiple ADSL Connections to Increase Broadband Speeds page, there are significant benefits from having more than one broadband connection, and for many businesses, enhanced resilience is possibly the most important. For small businesses and SOHO (Small Office/Home Office) workers, continuous access to the Internet is often critical, and hours or days without an Internet connection could have a devastating impact on productivity and/or business revenue. Without the ability to communicate with current and potential customers (e.g. through email), the lack of a working broadband connection could jeopardise the entire future of a business. Therefore, where Internet connectivity is an important requirement, the benefit of resilience from load balancing is very high. With load balancing, multiple broadband lines are connected to a load-balancing router. Many load-balancing routers can accept two broadband connections, while some (generally the more expensive routers) can support a greater number of connections. Some routers allow mobile broadband connections to be used. Load-balancing routers can automatically detect the loss of a connection (for example, if there is a line fault or errors on the line) and will route all Internet traffic through the remaining live connection(s). Load balancing is not true bonding, so why bother? There is much confusion about what load balancing is and what load-balancing routers actually do. If you’re unable to watch BBC iPlayer through a single ADSL/ADSL2+ broadband connection and think that two lines with a load-balancing router would allow you to watch iPlayer using load balancing, you will be disappointed! Load balancing does not combine (or aggregate) broadband connections so it does not, for example, create a single 4 Mbps Internet connection from two 2 Mbps connections (so you wouldn't be able to watch a 3 Mbps high-definition streamed iPlayer video). So why bother with load balancing? Well, the key benefit of a load-balancing router lies with its ability to support multiple devices/users at the same time to improve the overall experience of users. Load balancing allows devices (such as PCs, notebooks, iPads and iPhones) to make use of the capacity of more than two Internet connections at the same time. Let’s consider typical usage of broadband connections in the home and in the office, where the benefits of load balancing become clear. In the home, there may be a number of people accessing Internet services at the same time through a variety of devices. For example, one person may be streaming a BBC iPlayer video on his or her iPad, while another person is listening to a streamed music service (for example Spotify). At the same time, but in another room, someone may be trying to make a Skype video call. As the number of Internet-capable devices increases, so does the possibility of having potentially conflicting demands on the same Internet connection. Similarly, in an office environment, there may be a number of people accessing Internet services at the same time, which may include browsing, file and email downloading, video streaming and VoIP services. With a single broadband connection, the available capacity has to be shared among all the users/devices. While a single 2 Mbps ADSL/ADSL2+ connection would easily allow a single user to stream video at 1.5 Mbps in isolation, multiple demands on the broadband connection at the same time could mean that the available capacity per user/device is reduced, and potentially the video streaming would not work (despite the fact that the total capacity of the ADSL connection is more than that needed to stream the video in isolation). A load-balancing router attempts to share the available broadband connections between the multiple devices/users. So, for example, if you had two people trying to simultaneously view separate 1.5 Mbps iPlayer streams, a load-balancing router should route iPlayer traffic for the first user along the first ADSL connection, with the second ADSL connection used for the second user. Beware, not all load-balancing routers are the same! Currently, there are many load-balancing routers available, and some are surprisingly inexpensive (costing less than £40). However, we have found that the old adage 'You get what you pay for' generally holds true. Internet forums are awash with broadband users who have purchased cheap load-balancing routers and have discovered that their Internet traffic is not evenly shared among multiple broadband connections, or that the processing involved in load balancing severely degrades the responsiveness and reliability of Internet access. In general, the more expensive routers do a better job of balancing traffic, as they contain greater processing power and more advanced algorithms. Furthermore, advanced load-balancing routers allow more sophisticated control of services and devices. For example, with good load-balancing routers, it is possible to apply a range of 'rules', for example confining delay-sensitive traffic (such as VoIP) to the broadband connection with the lowest latency. Finally, bear in mind that all routers that support multiple ADSL/ADSL2+ connections do not necessarily perform load balancing. For example, the excellent Billion 7800DXL permits three Internet connections to be connected to its WAN ports. However, the Billion 7800DXL can only operate in 'fail-over' mode, where the standby Internet connections will be used only if the main one goes down. While it may be tempting (in terms of price and convenience) to purchase an 'all-in-one' load-balancing router that incorporates its own ADSL/ADSL2+ modems, we recommend that you opt for high-quality separate external ADSL modems instead. We recommend two Billion 7800DXL modems for this purpose. This particular modem provides outstanding performance, particularly on long or challenging lines, and it allows you to adjust the target SNR to extract the fastest download speeds possible on each ADSL/ADSL2+ line. 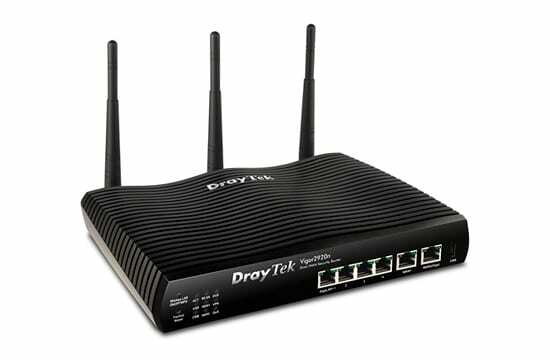 While the combination of two Billion 780DXL modems with a Draytek load-balancing router may not be the cheapest option available, it will provide outstanding security, performance and download speeds. Compared with true bonding solutions, ongoing costs will be lower. Please don't forget to read our Increase Broadband Speed Guide to help you squeeze the highest speed possible from your line. Also, did you realise that your WiFi could be the bottleneck in your home network? Read our WiFi Optimisation Guide to optimally set up your WiFi connection.